For years Star Wars fans have wondered about the birth of Anakin Skywalker, who would later become the greatest villain in science fiction history, Darth Vader. There were many theories, but the Darth Vader comic book has finally confirmed one of the major ones, and there is a slight variation. Now that the new movies are exploring the future of the Skywalker line, it’s a great moment to find out more about Anakin. Before revealing this huge spoiler, it is important to remind everyone about Anakin Skywalker’s backstory because some major fans don’t even remember it. Many Star Wars followers asked creator George Lucas why he did not focus on this part of the character’s history in the prequels films, though Qui-Gon Jinn wondered about it. He sensed a “vergence of the Force” and discovered a boy in the backwoods worlds, so it was only natural that he would be curious about his origins. There is a clear connection of the Force to genetics, as explained by Luke later on as “mighty Skywalker blood”, therefore Qui-Gon asked about Anakin’s father to ascertain where he got his powers. Anakin’s mother, Shmi Skywalker, told him that the Force came from the boy’s dad, but not exactly as Qui-Gon expected. “There was no father. I carried him, I gave birth, I raised him, and I can't explain what happened.” In other words, this is the Star Wars version of a “virgin” giving birth, and Qui-Gon had enough sense to bring him into the fold of the Jedi. They believed that he was the one they had been waiting for. 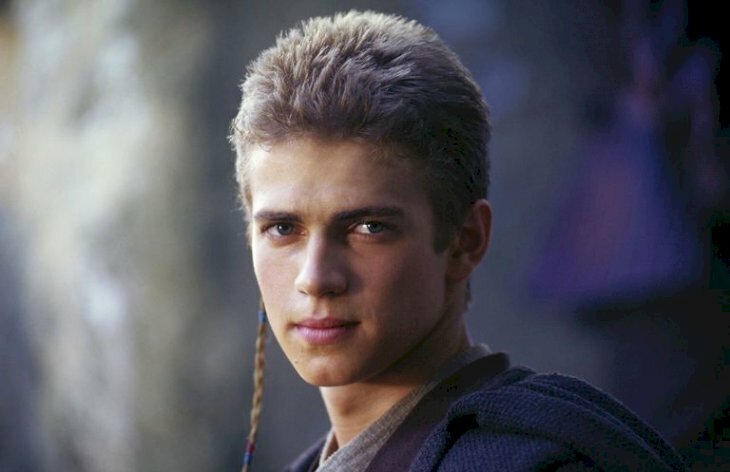 Some fans of the saga will not be comfortable with Anakin’s genetic origins, and we have to admit that it is rather scandalous because of the involvement of the Midi-chlorians. Stipulating that this infinitesimally small beings are the reason why someone can sense the Force causes a bunch of problems. Most believe that the Force is an “energy field” that links all forms of life, and the Midi-chlorians can apparently do the same. Therefore, Qui-Gon was sure that the amount of the microscopic beings inside Anakin meant that they created him inside his mother’s belly, instead of the normal way of reproduction, like a twisted version of genetically engineering. So, Anakin was believed to be the Chosen One, and the one that would balance the Force, as the prophecy stated. However, that was Qui-Gon’s theory, and this particular query was glazed over all the time. It is no wonder that fans came up with all sorts of explanations that draw parallels with the expanded universe novels. They even said that Anakin was also connected to the Sith Lords, not just the Midi-cholorians. 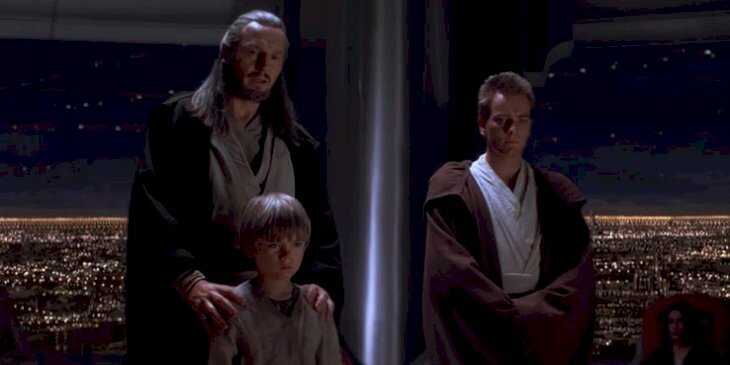 However, the truth about his existence was finally presented, and it turns out that Qui-Gon had been played for a fool, as well as the Jedi Council. The part about the Midi-chlorians involvement is absolutely true, but they did not come up with the idea. 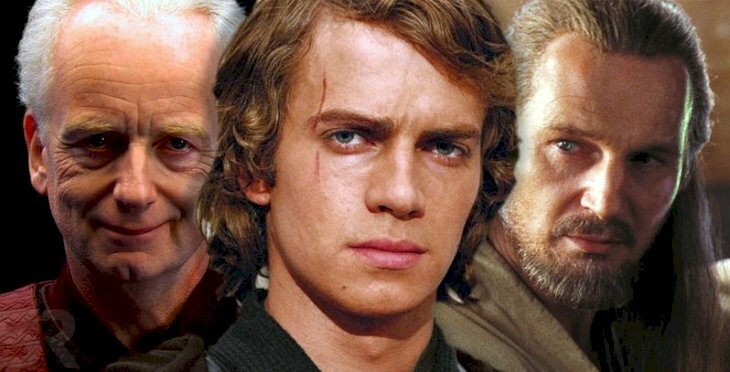 Anakin was made by influencing the Dark Side of the Force and that is not a surprise for long-time fans, but the truth about his parentage changes many things about this incredible saga. However, if you have not read the comics and do not want to know this huge spoiler, do not go any further because this is mind-blowing. 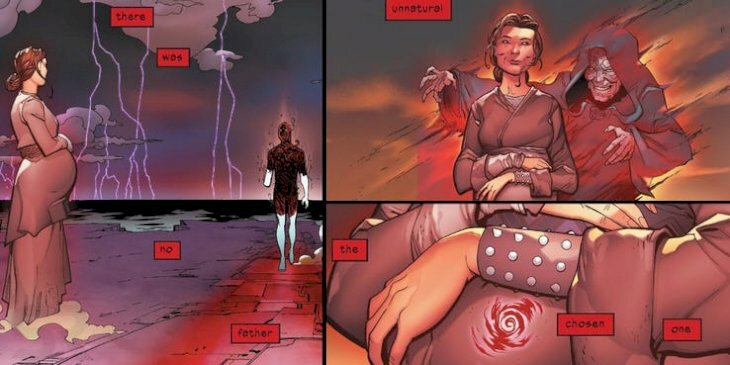 The comic books titled Dark Vader #25 has revealed that Skywalker was conceived through a Dark Side/Midichlorian experiment inside Shmi Skywalker’s belly, which was done by Emperor Palpatine. 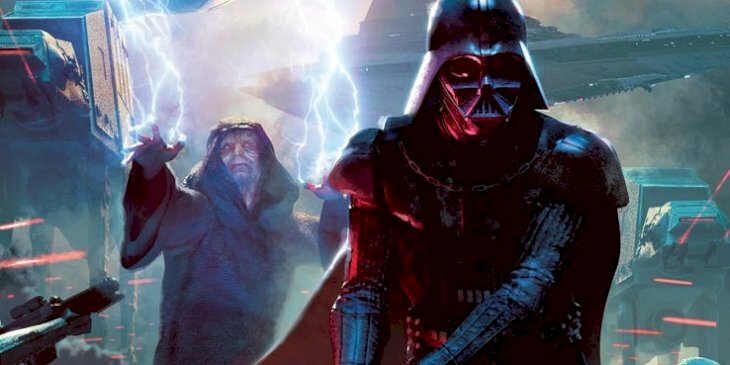 For fans of Charles Soule and Giuseppe Camuncoli’s series, their thoughts about the villain have changed many things we knew about the Star Wars canon. Most people believe the alterations have been awesome, especially the one that says that Darth Vader constructed his castle in order to save Padmé Amidala. That issue shows Darth Vader making a hole between the living Force and the world of the living, and when he goes inside, he saw all the most important moments of his life. There, he saw the truth of his parentage, as his pregnant mother was held by Darth Sidious, and his hands were filled with Sith magic pointed at her growing womb. If he had not seen it himself, there is no way that he would have believed Emperor Palpatine, and even fans would think it was a lie. Furthermore, this revelation also changes more about Star Wars. Chancellor Palpatine was the one that told Anakin about the tale of the Darth Plagueis the Wise, who could master life and death. However, fans knew there was something else going on with this story about a Sith Lord who could handle Midi-chlorians to make new beings and would later be murdered by his Protégée when he was sleeping. 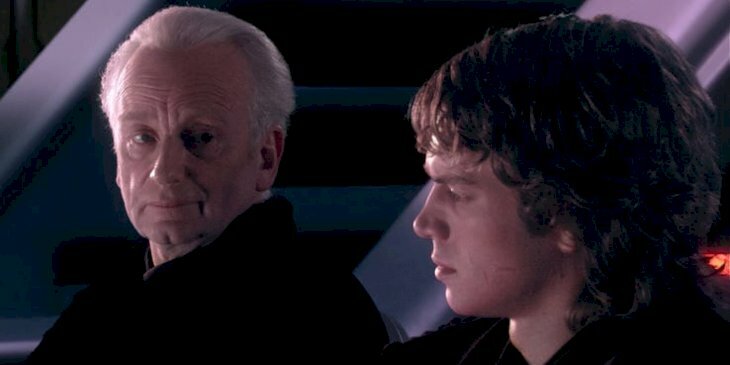 Anakin only paid attention to the part about how to save his wife with the Dark Side, apparently, but fans knew that Darth Sidious was talking about killing his master and learning that skill from him. His weird looks to Anakin finally have an explanation, but the Darth Plagueis novel made by James Luceno did not explore this deeply, as it only pointed out most of what was known. In the story, Darth Plagueis and Darth Sidious reached to the Force to make a powerful child, but the Midi-chlorians stopped them from making a kid that could end the Sith. However, when Disney bought Lucasfilm, they removed Plagueis from canon and released a bunch of other works. With this new information, the passage where Count Dooku tells Palpatine that Qui-Gon found the child changes completely. "Everything. 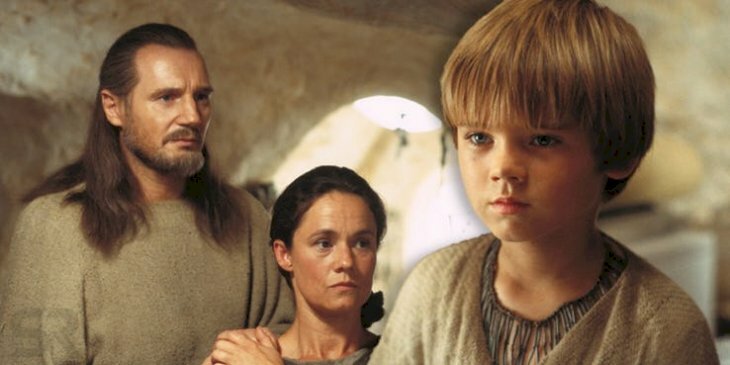 Qui-Gon believes that the boy -Anakin is his name- stands at the center of a vergence in the Force, and believes further that his finding him was the will of the Force. 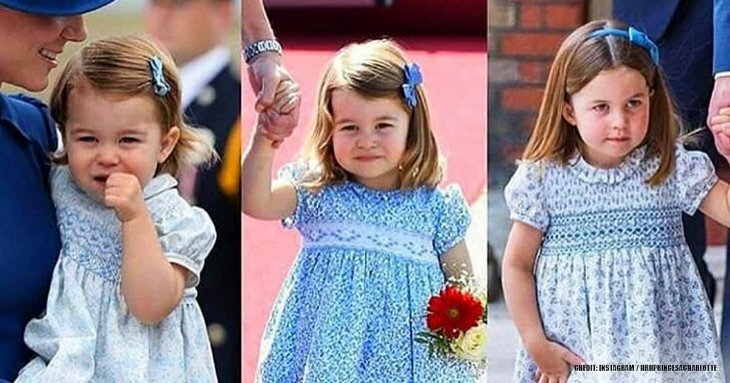 Blood tests were apparently performed, and the boy's concentration of midi-chlorians is unprecedented." What did you think about this amazing reveal? Fans suspected it to be true, and the new comic books have finally answered this long-awaited question. 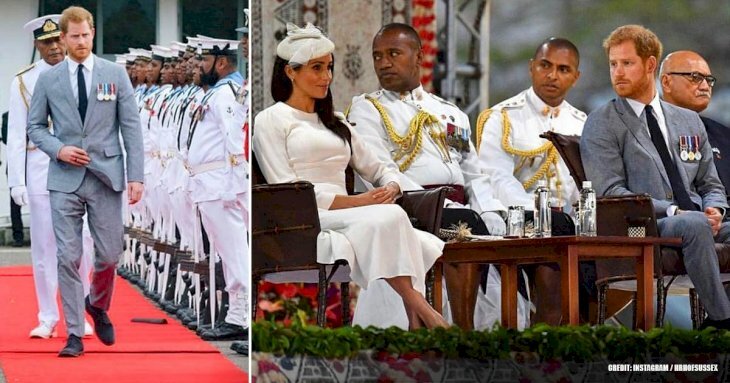 Do you think this changes the saga forever? It also means that Kylo Ren is Emperor Palpatine’s great-grandson. Leave a comment down below and share this article with all your Sith friends.